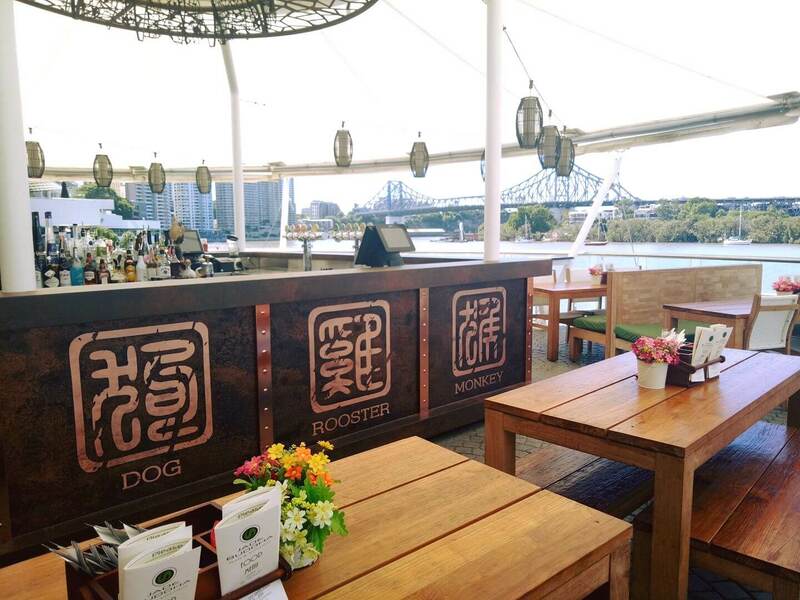 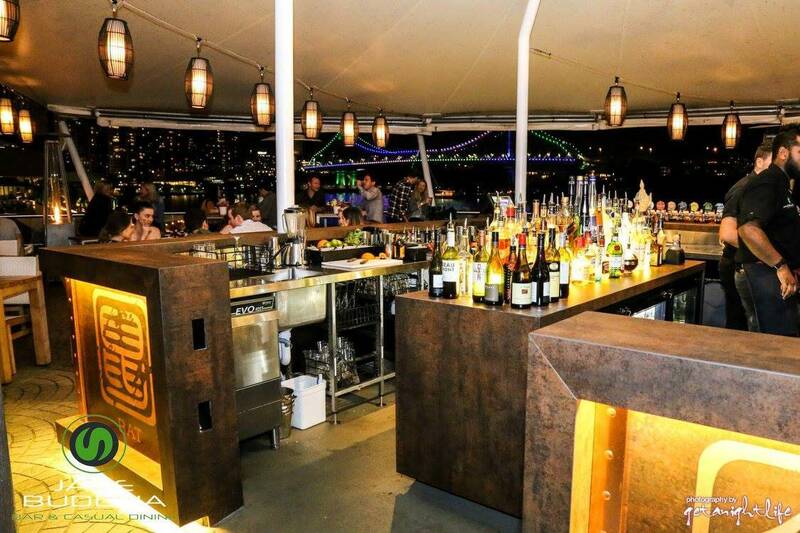 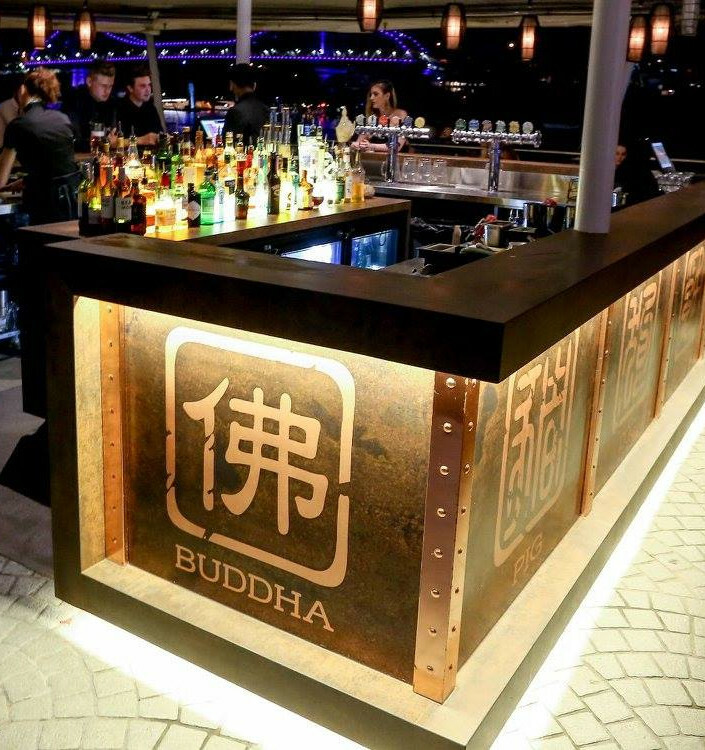 Located at Eagle St Pier, Jade Buddha has it all – stunning river views by day and dazzling city lights by night. 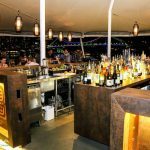 This fitout was complicated and ensuring, ensuring that the structural integrity of the balcony which over hangs the river was paramount. 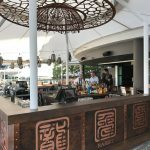 Working in the centre of the city generally provides its own set of challenges but combined with an open trading venue this project required a unique approach. 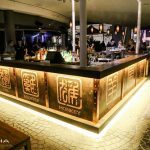 Statement pieces feature throughout both areas. 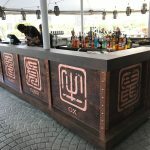 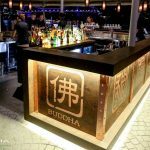 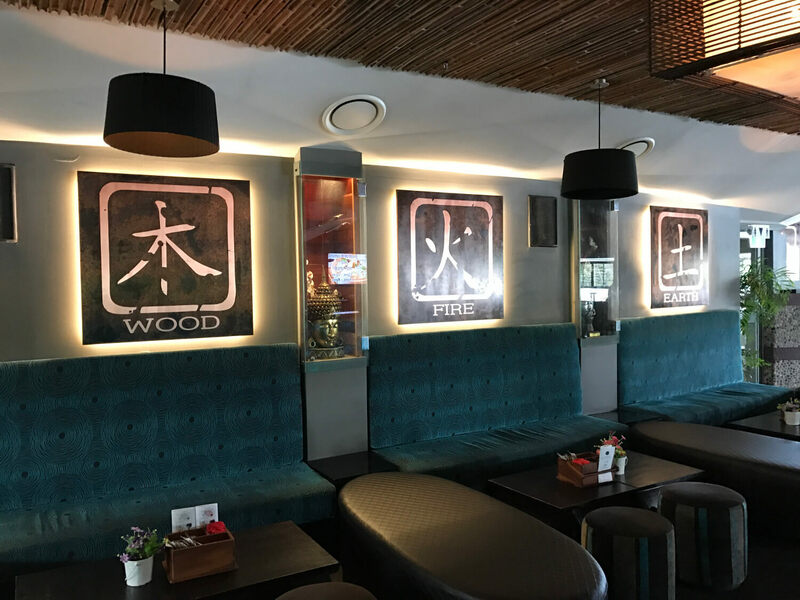 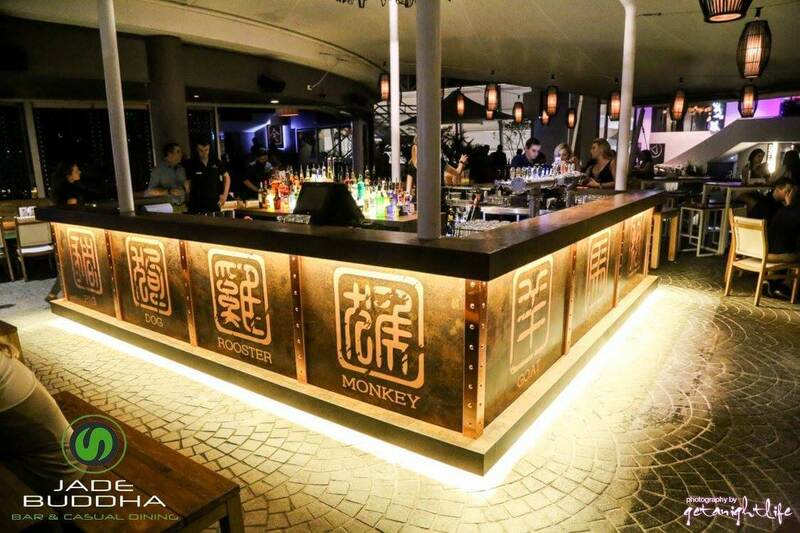 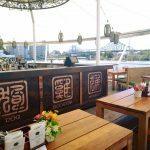 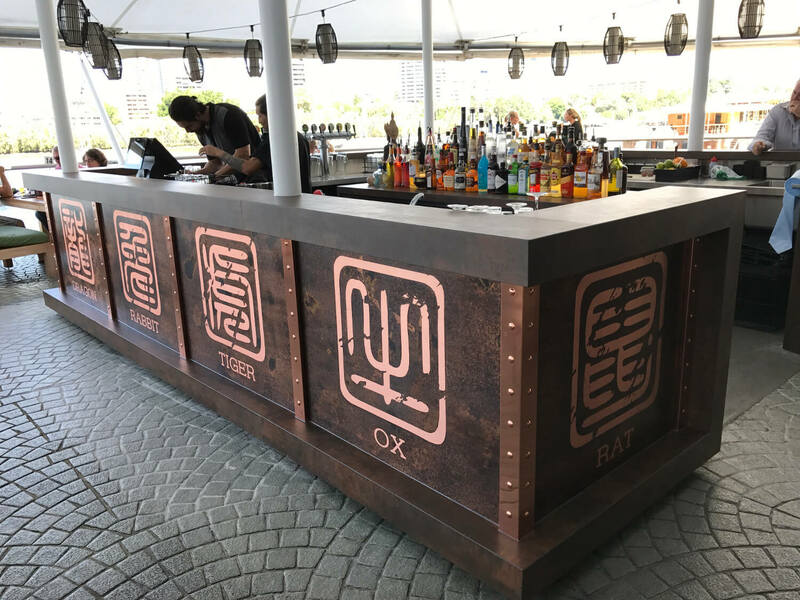 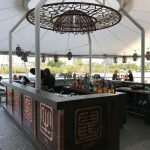 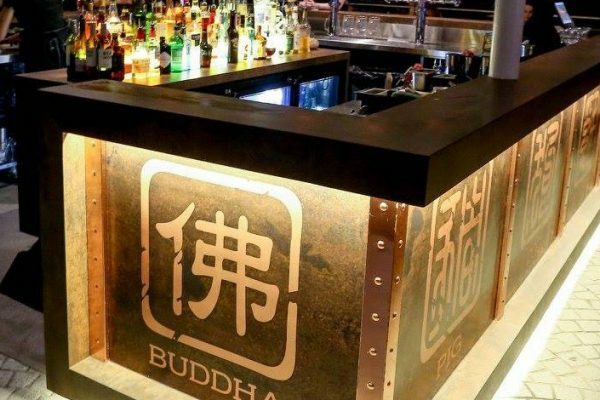 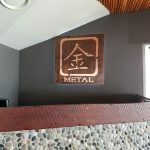 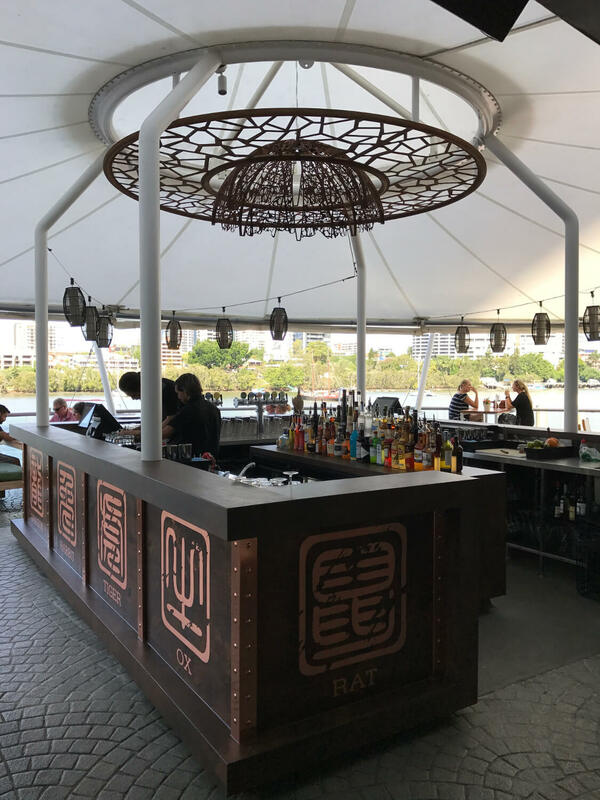 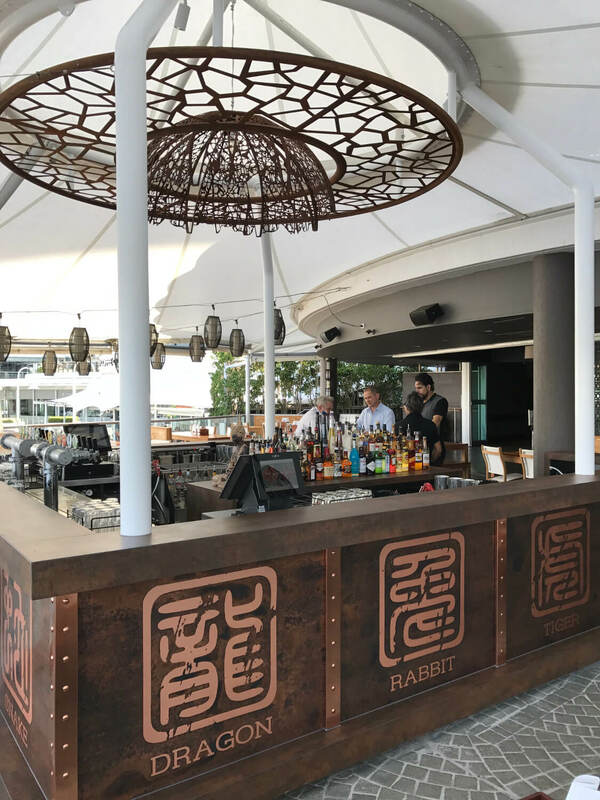 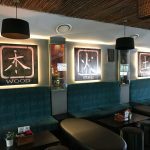 From the handmade patina copper Chinese signs to the bespoke oversize, oxidised, metal chandelier hanging over the external bar which houses a custom made double sided island fridge. 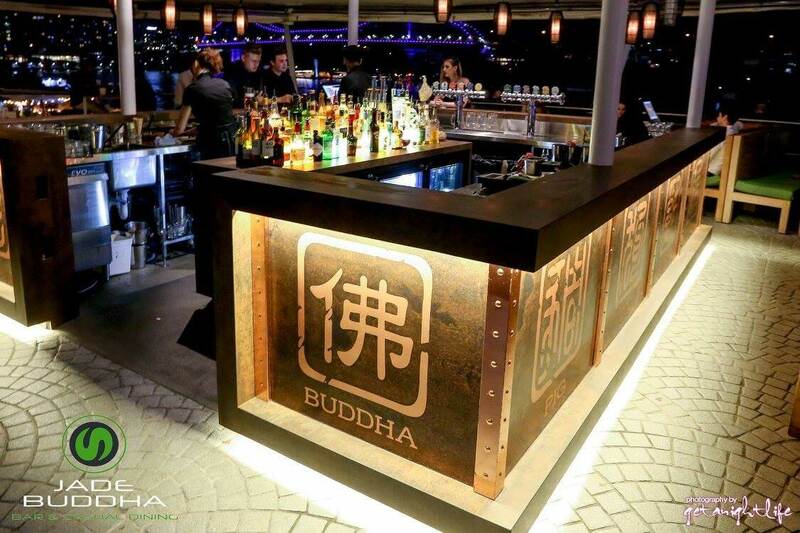 The use of industrial materials in the design have been softened with a large green plant wall and water feature. 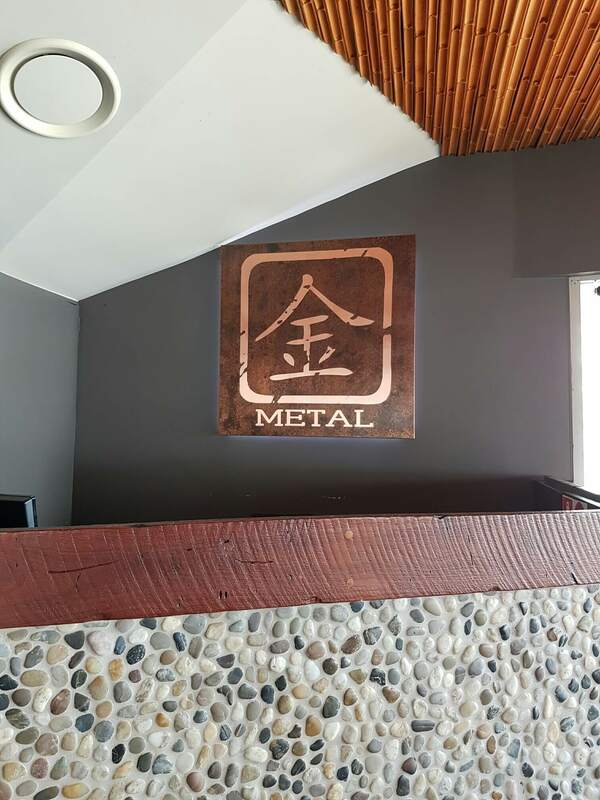 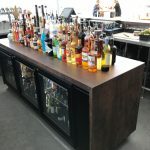 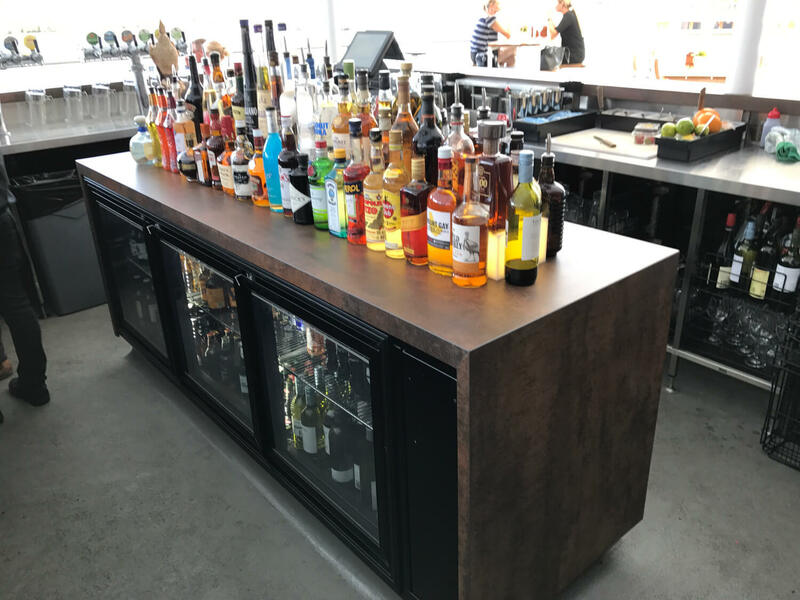 Careful management of the project budget and timeframes combined with quality finishes have ensured we have once again exceeded our client’s expectations.